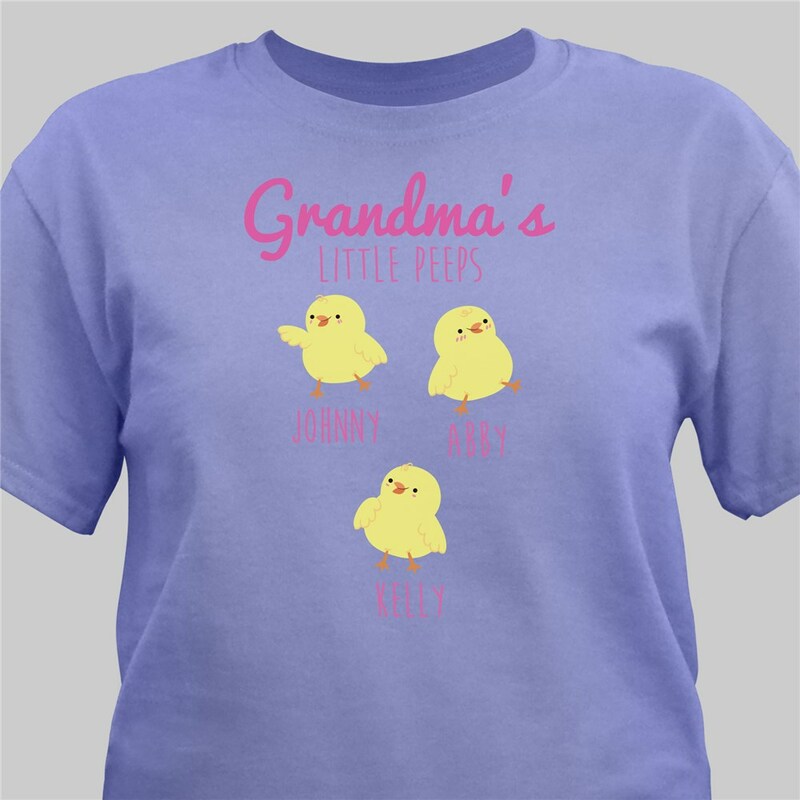 Hop into your favorite Easter apparel with our Personalized Grandmas Peeps T-Shirt. 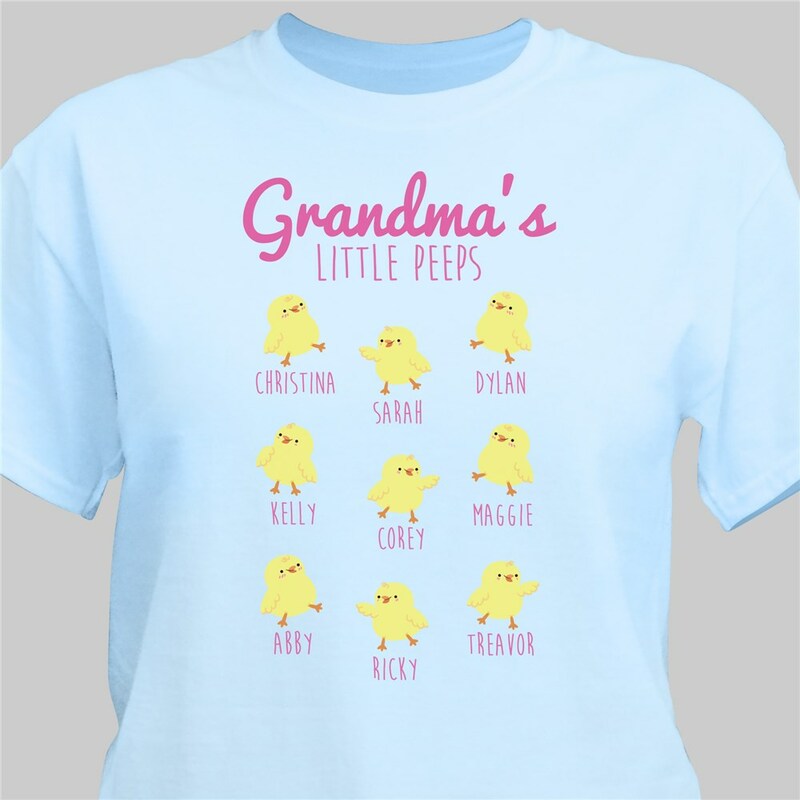 Our Premium T-shirt will be personalized with any title and up to 12 names to fit all of your favorite peeps. 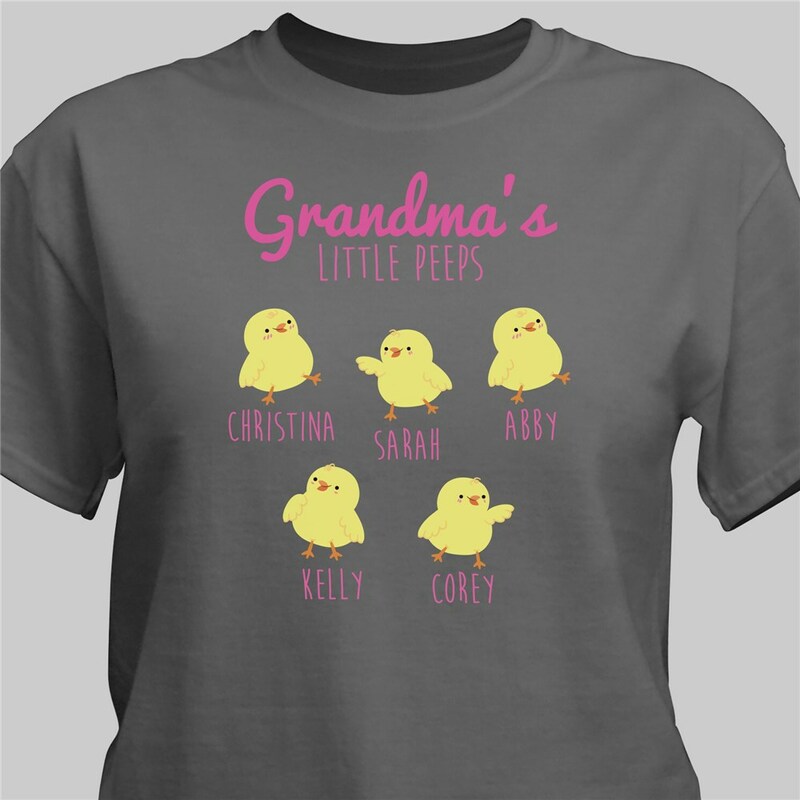 Personalized Grandma Shirts For Easter can be personalized for Moms, Aunts and more! I love my shirt! 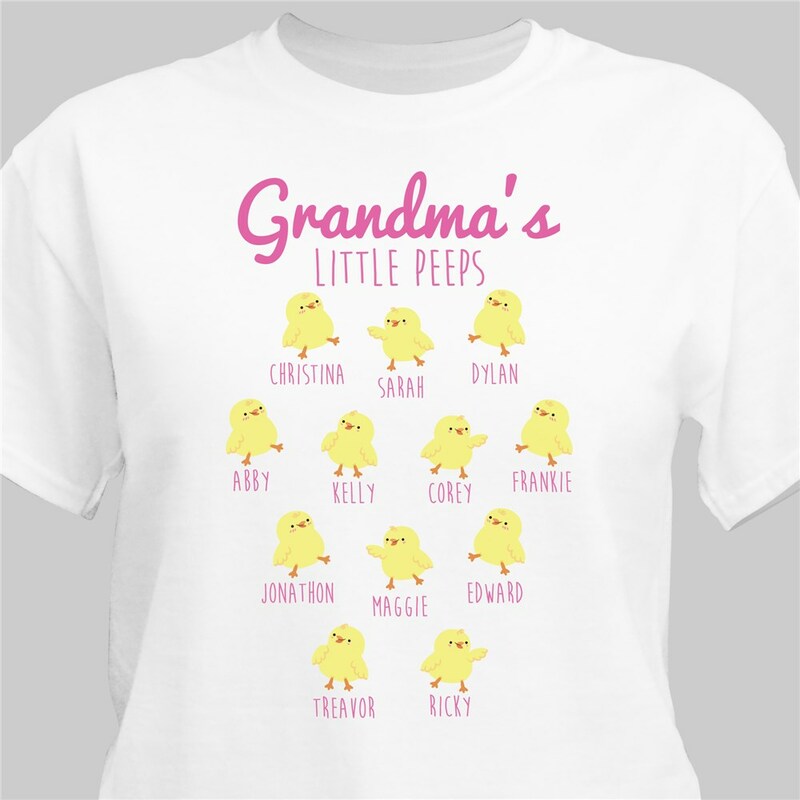 It's very nice, the mistake I made was to get a grey one because you can't see the peeps very well. But that's my fault. It came quickly also. I love it. The colors and all the little chicks are so adorable.